Michigan Dental Association (MDA) 2019 Annual Session is organized by Michigan Dental Association (MDA) and will be held from May 01 - 04, 2019 at Cobo Center, Detroit, Michigan, United States of America. Additional details will be posted as soon as they are available. Quality Bone Densitometry For Technologists is organized by International Society for Clinical Densitometry (ISCD) and will be held from May 04 - 05, 2019 at Detroit Metro Airport Marriott, Detroit, Michigan, United States of America. Conference Description : The core elements of this program focus on performing quality DXA scans, dissecting the data and applying this knowledge to a technologist’s role in patient care. This course, which focuses on quality DXA, is innovative, interactive and informative. The course emphasizes technical excellence in the performance, analysis and troubleshooting of bone densitometry scans. The course will provide standard practices and applications to raise the quality of DXA scan procedures and its impact on patient care. This is achieved by enhancing awareness of the technical expertise involved in performing bone densitometry and applying protocols to address the everyday challenges. The course focuses on the considerable impact that a technologist plays in the delivery of quality DXA, and how that influences patient management. Additional details will be posted as soon as they re available. Quality Bone Densitometry For Clinicians is organized by International Society for Clinical Densitometry (ISCD) and will be held from May 04 - 05, 2019 at Detroit Metro Airport Marriott, Detroit, Michigan, United States of America. Conference Description : The core elements of this course serve to educate healthcare providers about bone densitometry and osteoporosis and to apply standard practices to assure quality performance and interpretation of bone densitometry studies. The course is offered in two parts. The first day sets the standard to perform Quality DXA interpretation. Day 2 focuses on the clinical assessment, prevention, treatment and management of osteoporosis and the essential role that high-quality DXA plays in treatment initiation decisions and monitoring of osteoporotic patients. Individuals may register for either part of the course separately or as a combined program. Additional details will be posted as soon as they are available. A Common Sense Approach to Removable Partial Denture Design and Treatment Planning is organized by University of Detroit Mercy School of Dentistry and will be held on Jun 01, 2019 at University of Detroit Mercy Corktown Campus School of Dentistry, Detroit, Michigan, United States of America. This Course has been approved for a maximum of 7 CEUs. Course Overview This course will review treatment planning guidelines as well as principals of design for removable partial dentures. Participants will survey and design partial denture cases. Participants are encouraged to bring current cases for discussion/treatment planning as well as a surveyor (if you have one). Course Objectives: At the completion of the course participants will be able to: • Recognizing the critical importance of patient examination • Understand the importance of proper case selection • Identify multiple clinical factors assisting in removable partial denture design • Be familiar with a variety of removable partial denture design approaches • Appreciate that there is a more than one design concept suitable for any given situation • Recognize that no removable partial denture is the best solution for every case Additional details will be posted as soon as they are available. Open Wide: Managing Pediatric Patients with Open Apices is organized by University of Detroit Mercy School of Dentistry and will be held on Jun 12, 2019 at University of Detroit Mercy Corktown Campus School of Dentistry, Detroit, Michigan, United States of America. This Course has been approved for a maximum of 4 CEUs. Course Overview: This course is divided into two distinct areas. One session will highlight current ethical and legal challenges in treating the adolescent patient. Treating minor patients require an awareness of the legal protections afforded the provider and the patient. Topics reviewed include informed consent, confidentiality and privacy related issues Pediatric cases often provide treatment challenges. The second half of the course will review vital pulp therapy techniques highlighting current materials. Pulp capping, apexification and apexogenesis procedures will be discussed. Evidenced based findings will be discussed on the prognosis of treatment options Course Objectives: At the completion of the course participants will be able to: • Understand Michigan law impacting on the rights of minors in obtaining health care • Gain knowledge of issues related to treating children that present with distinct circumstances: emancipated minor, child of divorced parents, unaccompanied to the dental office and other similar situations • Recognize current challenges in treating adolescent patients including bullying and cyberbullying, obesity, sexual activity and other risk-taking behaviors will be incorporated • Identify pulp capping techniques including indirect and direct pulp capping • Understand vital pulp therapy techniques for apical closure including apexogenesis, apexification and regenerative endodontics Additional details will be posted as soon as they are available. Demystifying 3D Digital Dentistry: Armamentarium for the 21st Century Dentistry is organized by University of Detroit Mercy School of Dentistry and will be held on Jun 14, 2019 at University of Detroit Mercy Corktown Campus School of Dentistry, Detroit, Michigan, United States of America. This Course has been approved for a maximum of 7 CEUs. Course Overview: There has been a digital revolution in dentistry. For some, these technological advancements were hailed, while others are still very confused and feel left behind. This fast-paced course demystifies digital dentistry by teaching basic, moderate and advanced armamentarium needed in practicing 21st-century dentistry while utilizing an economical approach. Topics to be included are: • Introduction to 3D-Digital Dentistry • Armamentarium Needed – Major and Minor Shopping List • 3D Printing, Optical Scanning and CBCT technologies • DATA Acquisition - Analog vs Digital vs DANA-log workflow strategies • Free/Open-Source Computer Aided Design (CAD) software • Fundamentals of Computer Guided Implant Surgery • Choosing the right Dental Laboratory – C.C.E. Protocols • The digital economics, cost analysis and profitability of 3D-Dentistry • Avoiding Mistakes and Complications associated with guided surgeries • 3D-Digital techniques for implant dentistry, surgical and prosthetic phases • Designing and printing in-house surgical guides • Digital dentures in just three appointments Additional details will be posted as soon as they are available. 64th Annual Clinical Conference: Update in Clinical Ophthalmology is organized by Wayne State University School of Medicine and will be held on Jun 14, 2019 at Kresge Eye Institute, Detroit, Michigan, United States of America. This Course has been approved for a maximum of 5.25 AMA PRA Category 1 Credits TM. Additional details will be posted as soon as they are available. Facial Aesthetic Training program is a great workshop for physicians, nurses, aestheticians, and other health care professionals interested in having a complete array of facial treatment options for their patients. There are many highly effective, yet simple procedures that, though often overlooked in facial aesthetic in place of the exciting Botox and Filler procedures, can afford you a more complete facial treatment option for your patients. What good is performing a Botox procedure on patients if the surface of their skin is riddled with hyper pigmentation, acne scars, poor texture, tone, and color?Our course is very complete and detailed, with written protocols for every step in each procedure and includes the opportunity to perform these hands-on procedures. Although not required, most attendees request a procedure for themselves or a spouse before adjourning the course. Nitrous Oxide/Oxygen Sedation for the Dental Hygienist and Registered Dental Assistant is organized by University of Detroit Mercy School of Dentistry and will be held on Jul 12, 2019 at University of Detroit Mercy Corktown Campus School of Dentistry, Detroit, Michigan, United States of America. Credit: RDH: 9 units of continuing education (Lecture, Clinical, and Online) RDA: 6 units of continuing education (Lecture, Clinical, and Online) Course Overview: This course is designed to prepare the dental hygienist to safely administer and monitor nitrous oxide/oxygen sedation for dental patients in compliance with the educational requirements specified by Michigan law. Participants will learn this pain control strategy through online self-study, lecture, and demonstrations. RDAs: This course is designed to prepare the dental assistant to safely assist and monitor nitrous oxide/oxygen sedation for dental patients in compliance with the educational requirements specified by Michigan law. 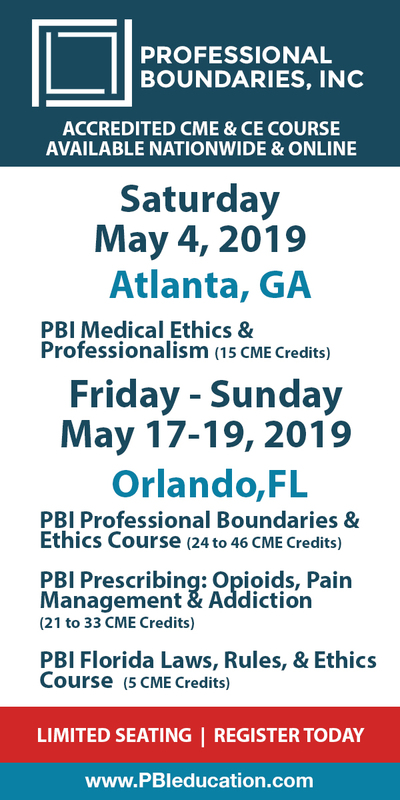 Participants will learn this pain control strategy through online self-study, lecture, and demonstrations. Friday, July 12, 2019 RDH (RN/DDS/DMD/MD/PAs): Lecture - 8:00 a.m. to 11:30 a.m. Clinical (Hands-on) Session - 12:30 p.m. to 4:30 p.m. RDAs: Lecture - 8:00 a.m. to 11:30 a.m. Clinical (Hands-on) Session - 12:30 p.m. to 2:00 p.m. Course Objectives: At the completion of the course participants will be able to: • Explain the rationale and basic principles of nitrous oxide sedation in pain and anxiety control and as an adjunct to local anesthesia • Identify and apply medical and dental history considerations • Assess and monitor patients for nitrous oxide analgesia • Understand nitrous oxide pharmacology, physical properties, and armamentarium • Manage complications/medical emergencies of nitrous oxide • Understand the levels of sedation • Utilize proper nitrous oxide monitoring technique • Realize biohazard concerns and scavenging systems • Understand Michigan law • Be aware of abuse potential Additional details will be posted as soon as they are available. Mesotherapy (Lipo Dissolve) continues to be sought after by patients because of its relative simplicity in burning fat and cellulite, as well as the safety profile in comparison with liposuction. At Empire Medical Training, you will learn about the newest technologies available being utilized for fat and cellulite reduction such as the non invasive delivery systems (RF Thermal Devices) along with receiving traditional Mesotherapy training. Our comprehensive Mesotherapy training gives the specific formulas, forms, consents, and prescriptions for you to have the ingredients for each mixture formulated and compounded. 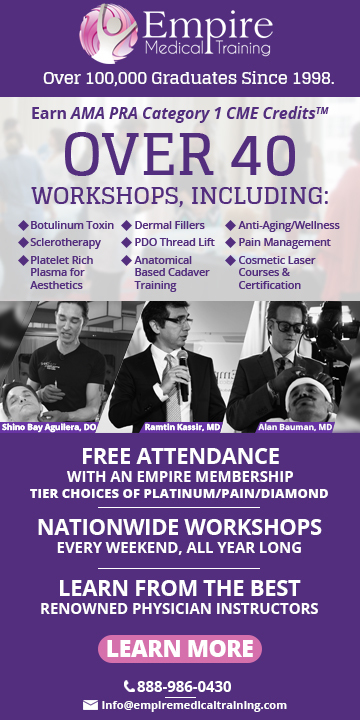 Like all of our aesthetic training workshops, this training is for established medical professionals looking to expand their procedural capabilities.Empire is excited to be among the first to provide this type of intensive education and training on the newest medications and treatments currently available for treating submental fat accumulation (double chin) in patients. During all Mesotherapy classes you will learn which medications are effective in treating patients with fat accumulation in the submental region and which are non-invasive treatment options compared to liposuction. Traditional Mesotherapy injections to this region have been recommended for years by physicians and have produced good results; however, inconsistent results.